Our client is committed to increasing the representation of women undertaking senior positions within their organisation as they firmly believe that greater diversity strengthens the capabilities of managers and positively impact our employees. 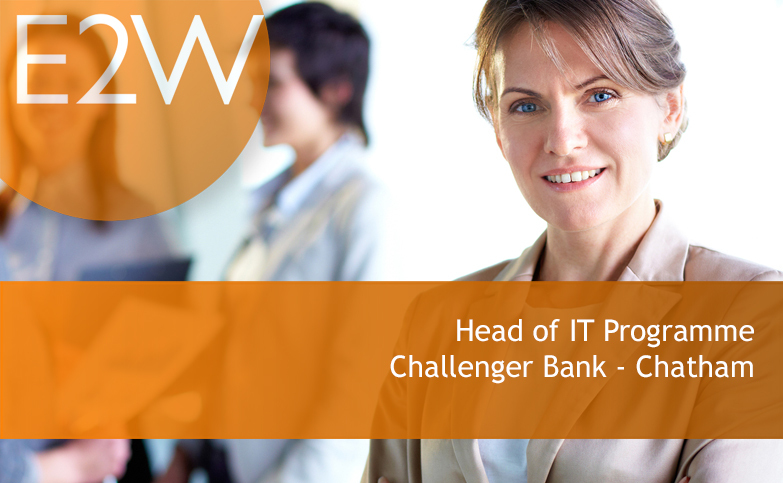 As a result, our client has retained us to find female candidates for the role of Head of IT Programme. The portfolio manager will be in overall, end-to-end, charge of the IT program, from shaping the approach to get the desired outcomes through to delivery. The position includes coordinating projects and resource management within the program, stakeholder and sponsor communications, reporting and engagement. You will further be responsible for supporting the delivery and resourcing of the allocated change pipeline and analysis work that is required to ensure effective delivery against an agreed programme and timeline. Key responsibility to ensure robust and accurate plans are developed from a timeline, resource and cost perspective to deliver against the agreed objectives and project scope to a successful implementation, ensuring understanding of business change needs and assessing the impact and risk of those changes as well as providing effective communication channels. The role involves providing direction, governance and oversight to all key stakeholders and project work stream leads and support functions which may involve some travel. Equivalent to 10 years of IT (Experience in Applications, Databases, Networks, Infrastructure design and development), and business/industry experience is essential. Equivalent to 10 years or more of diverse (PM, Program Management of multiple projects, BA…) roles and increasing leadership responsibilities across major(£1M+) complex projects and programs is essential.